Professional jet wash cleaning can transform the appearance of your home. Are there marks on your driveway? Have your paths or decking become green and slippery? Garden furniture grimy? Patio dirty and weedy? High pressure jet wash cleaning. We use high performance, commercial equipment to transform your driveway, patio, paths and decks. 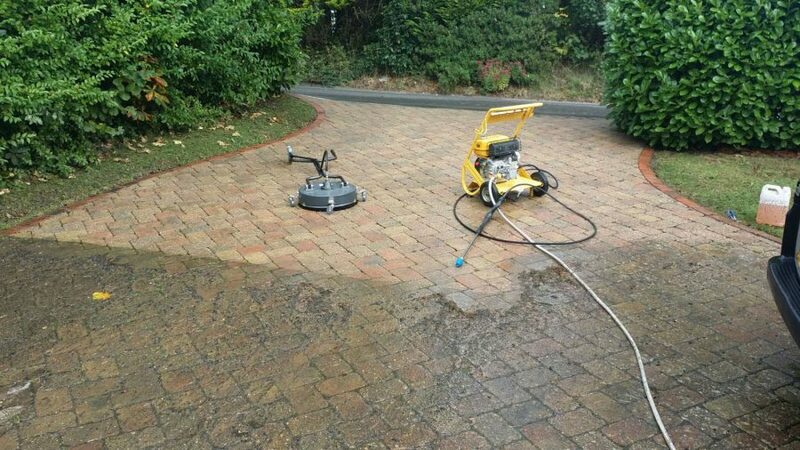 Jet washing can remove ground-in dirt and grime, oil stains, and tyre marks. We can transform your garden by removing algae, blackspots, lichen and moss, leaving your paving looking like new. Don’t buy new garden furniture until you have tried jet washing your existing table and chairs!